Voltage Regulator takes an input voltage and creates a regulated output voltage irrespective of the input voltage at either a fixed voltage level or adjustable voltage level. 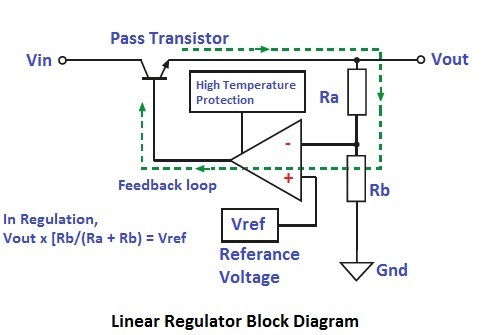 In simple words, a voltage regulator is used to regulate voltage level. A linear voltage regulator delivers a steady output voltage from a more or less steady input voltage source. In normal operation, even if the input voltage varies fast, the output voltage remains steady. This means they can also very efficiently filter out input ripple, not only at the fundamental frequency, but also for fifth or tenth harmonic. 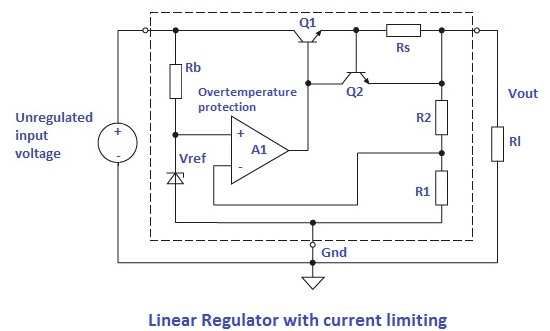 The constraint is only the response speed of the internal error amplifier feedback circuit. The pass transistor is the regulatory element, efficiently a variable resistor that controls the current flowing from input to output. The resistor divider Ra/Rb is chosen so that at the required output voltage, the divided down voltage at the error amp inverting input is the same as the Vref voltage at the non-inverting input. The error amplifier controls its output in a way that the voltage variance between its inputs is always zero. If the voltage at the output rises due to a drop in the load or an increased input voltage, the voltage at the inverting input of the error amplifier increases higher than Vref voltage and the output of the error amplifier goes negative, so decreasing the drive to the pass transistor and reducing the output voltage. If the load rises or the input voltage falls, the voltage at the inverting input drops below the Vref voltage and the drive to the transistor is increased to raise the output voltage to compensate. Therefore the same feedback loop controls for both input voltage differences (line regulation) and changes in load (load regulation). 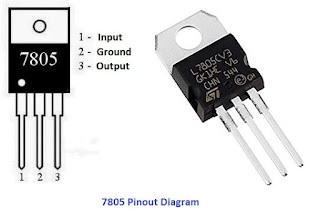 If the output is shorted to ground, the transistor would be turned ON hardly and a very high current would flow from input to output, so a second internal circuit is needed to limit the current. The sense resistor, Rs is used for the current limiting which uses the voltage drop across to monitor the output current. When the current is high enough so that the voltage exceeds 0.7V, transistor Q2 starts to conduct to take current away from transistor Q1, thus decreasing the drive and limiting the output current, thus Ilimit = 0.7V/Rs. The current limit needs to be set well above the maximum current that would flows during usual process. Normally the limit is 150% - 200% greater than the rated current. As the regulator is not deactivated during a short circuit, it is in constant overload. The dissimilarity between input and output voltage is dropped by the pass transistor. If the input voltage is 12V and the regulated output voltage is 5V, then 7V has to be dropped by the transistor. This means more power is dissipated in the regulator ac compare to actually deliver to the load. This is the reason why many linear regulators require a heat sink. If in the case the input voltage drops below the output voltage, the linear regulator cannot compensate and the output voltage will follow the down input voltage. If the input voltage drops too low, the internal power supply to the error amplifier and Vref will be compromised and output may become unbalanced or start to fluctuate. Linear regulators also execute poorly in stand-by mode. In the case of no load, a usual 78xx series regulator needs around 5mA to power the error amp and its reference voltage circuits. The advantages of linear regulators are low price, good control features, it has low noise and it has low emissions and outstanding transient response. The disadvantages are high quiescent consumption and very low efficiency for large input/output voltage changes. The efficiency of linear regulator is defined by the ratio of the supplied output power Pout to the power consumption Pin. The voltage regulator has to be equipped with a large sufficient heat sink to permit safe operation under the worst-case circumstances of maximum input voltage and maximum output current. Linear regulators have a number of advantages on the one hand, but also have some disadvantages that require special precaution in their use. As stated before, if the voltage difference between input and output is below the required range (typically 2V), then the regulation loop can no longer work correctly. A common application problem arises when a rectified AC input has a high voltage ripple because the smoothing capacitor is too small as shown in below diagram. If the input voltage falls below the fall-out voltage on each half cycle, then the regulated output will show periodic dips at twice the mains frequency. These quick dips will not show up on a multimeter which just measures the normal output voltage, but can cause circuit problems. This effect can be removed by either using bigger smoothing capacitors or increasing the turn’s ratio of the transformer. Voltage regulators are found in devices such as computer power supplies where they stabilize the DC voltages used by the processor and other circuit elements. For example, it takes in 90V-240V and provides 12V, 5V, 3.3V, -12V for the system to run and for the laptop the output voltage of the power adapter is about 19-20V. In automobile alternators and central power station generator plants, a voltage regulator regulates the output of the plant. In an electric power distribution system, voltage regulators may be mounted at a substation or along supply lines so that all customers get stable voltage independent of how much power is drawn from the line. Mobile phone charger, it takes in 100V-240V (AC/DC) and will give you a stable 5V DC output. If the input voltage stays within the range the output will continually be the same. We are using micro-controllers everywhere and mostly all micro-controller runs on 5V and a very low current so in most cases a 7805 is placed with them to make sure that the controller runs correctly. Any sensitive electronic device that needs steady input voltage is most of the time supplied by a regulator. For AC voltage regulator we can use the voltage stabilizer that takes input a somewhat fluctuating voltage and provides a stable AC voltage. These types of regulators are usually used with freezers and televisions. Voltage regulators like Linear Regulator are a great select for powering ON very low powered devices in which the difference between the input and output is small. They are easy to use, simple and cheap, a linear regulator is usually incompetent. Power Factor we can define as the ratio between the useful (true) power (kW) to the total (apparent) power (kVA) consumed by a circuit. It is a measurement of how proficiently electrical power is converted into useful power which can be further use for output load. "What is Power Factor and Why is it important?" "Types of Power Factor Correction"
What is Interleaved Power Factor Correction? A usual single-stage PFC controller design on a large inductor and requires extensive filtering to reduce high-frequency ripple. An alternative topology replaces the single PFC boost converter with a two interleaved converters each operating 180° out of phase. This interleaved method very much reduces the high-frequency ripple of the input current and as well as the current into the output capacitor of the PFC pre-regulator. The arrangement of reduced ripple and lower average current in each phase allows use of a smaller inductor size and input – output capacitor as compare to single-phase design. Component size is one of the main reasons for implementing an Interleave PFC design. As we can see in the figure an interleaved PFC consists of a two boost converter sharing the same load capacitor. As we can see in the figure, if we have the same inductance for each boost converter, we can see that the energy stored by this PFC system is doubled. An output power capability of this PFC system is determined by energy stored in the inductor. By an Interleaved PFC with much smaller inductor having lower inductance values for a given power rating, the output power can be generate same like single stage PFC. · Two inductors; which is used for energy storage. · Load balancing controller; which is used to make sure energy should be distributed equally i.e. the load balancing controller balances the variation in inductance values or feedback circuits. · Feed-Forward controller; which control sudden input voltage changes. · Voltage error controller; the dc output voltage and corresponding reference are applied to this controller to avoid the load variations so that output voltage should not vary. · Current error controller; which controls phase and shape of the input current which is the sum of both the inductor current. The output of this controller is PWM which is used to drive MOSFETS. · Load balance loop; which controls current through both the inductor. It generate corrected PWM term, which is subtracted from first PWM to get the final duty cycle of the first boost converter, and it is added to second PWM to find out the balanced duty cycle of the second boost converter. · PI controller; which controls unbalanced current flowing through two inductors by regulating this error and by adjusting the MOSFETs duty cycles. Interleaving power converters can lower conduction losses and improves the overall system efficiency. Two double energy storing capacity of PFC system, "Interleaved Power Factor Correction" is the best method. Also, for high energy application by this method we can reduce the size of Inductor and capacitor. Electronic waste or e-waste defines rejected electrical or electronic devices or equipment’s. The process of disassembling and placing of electronic waste in developing countries causes a number of environmental effects. These hazardous elements from e-Waste affect the water, soil and air. Government considered this situation as serious matter and came with two regulations for e-Waste i.e. RoHS and WEEE for e-Waste. 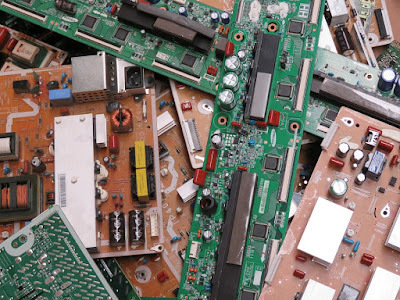 Electronic waste or e-waste may be defined as rejected computers, electronic equipment for office, entertainment electronic devices, cellular phones, television sets, refrigerators and other household electronic equipment’s. This e-waste contains used electronics equipment’s which are meant for reuse, resale, retrieve, recycling, or discarding and secondary leftovers like; copper, plastic, steel, etc. 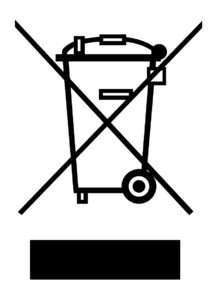 The word "waste" means remains or material of equipment’s which is discarded by the consumer rather than recycling those materials. E-waste or electronic waste is generated when an electronic product is thrown away after the end of its valuable life. The fast progression of technology means that a very huge quantity of e-waste is generated daily. More gadgets, more users and quicker device replacement have contributed to the development of e-waste. Contact from unsuitable e-waste handling has been linked to many health concerns. 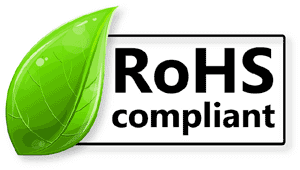 RoHS stands for "Restriction of Hazardous Substances". RoHS, is also called as Directive 2002/95/EC, created in the European Union and which controls the use of specific harmful materials found in electrical and electronic products or equipment’s. Full form of WEEE is “Waste Electrical and Electronic Equipment”. Objective of WEEE compliance is to boost the design of electronic equipment’s by keeping environmentally safe, recycling and recovery in mind. RoHS compliance comes together with WEEE by reducing the amount of hazardous chemicals used in electronics manufacturing. RoHS controls the hazardous substances used in electrical and electronic equipment’s, while WEEE controls the discarding of this same electrical and electronic equipment’s. This European law applies to an extensive range of electronic and electrical equipment’s. WEEE boosts the collection, treatment, recycling and retrieval of waste electrical and electronic equipment’s. It applies to a vast range of products, and inspires and sets standards for the collection, treatment, recycling and recovery of waste electrical and electronic equipment’s. Waste of electrical and electronic equipment (WEEE) such as computers, TV-sets, fridges and cell phones is one the fastest growing waste products in the European Union. 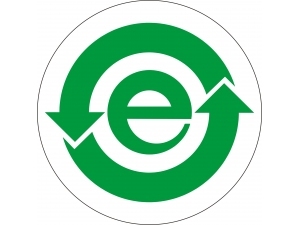 To address environment related problems, two parts of legislation have been put in place: The Directive on waste electrical and electronic equipment (WEEE Directive) and the Directive on the restriction of the use of certain hazardous substances in electrical and electronic equipment (RoHS Directive). The Waste Electrical and Electronic Equipment Directive (WEEE Directive) is the European Community Directive 2012/19/EU on waste electrical and electronic equipment which, together with the RoHS Directive 2011/65/EU, became European Law in February 2003 and aims to minimize the impacts of electrical and electronic equipment on the environment during its lifetime and when it becomes waste. The first WEEE Directive (Directive 2002/96/EC) come into the force in February 2003. The Directive delivered for the formation of collection arrangements where consumers return their WEEE free of cost. These arrangements aim to rise the recycling of WEEE or re-use of the products and components. In December 2008, the European Commission planned to review the Directive in order to control the very fast growing waste products. The new WEEE Directive 2012/19/EU come into force on 13 August 2012 and became operative on 14 February 2014. European Union regulation which limits the use of hazardous substances in electrical and electronic equipment’s (RoHS Directive 2002/95/EC) comes into the force in February 2003. The regulation requires hazardous materials such as lead, mercury, cadmium, and hexavalent chromium and flame retardants such as polybrominated biphenyls (PBB) or polybrominated diphenyl ethers (PBDE) to be replaced by harmless replacements. In December 2008, the European Commission planned to review the Directive. 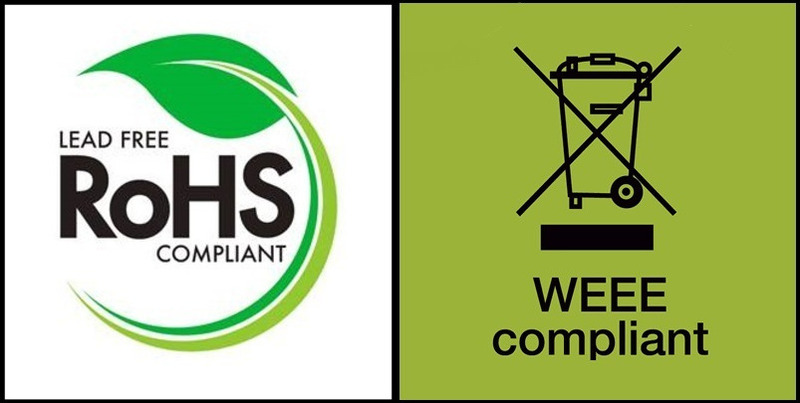 European Union regulation limiting the use of hazardous materials in electrical and electronic equipment (EEE) and encouraging the collection and recycling of such equipment’s has been in force since February 2003. Further the necessities for selective treatment for materials and components of Waste of Electronic and Electrical Equipment (WEEE), the WEEE Directive and national law/regulation on WEEE force member states to create and keep a registry of producers putting electrical and electronic equipment’s into the market. Private consumers will be able to return their WEEE to collection services free of charge. Producers (includes; manufacturers, sellers, distributors) will be liable for taking back and recycling electrical and electronic equipment’s. Producers have to necessary attain a sequence of recycling and recovery objectives for different categories of electrical and electronic equipment’s. The WEEE Directive needs that Member States confirm a objective, by the date 31 December 2006, of at least 4 kilograms of WEEE per resident per year is being collected from private household consumers. 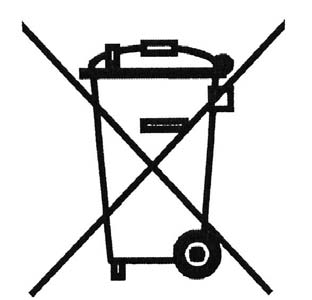 The symbol accepted by the European Assembly to symbolize waste electrical and electronic equipment contains a crossed-out wheelie bin with or without a single black line below the symbol. The black line shows that products have been placed in the market after the year 2005, when the Directive came into force. The products without the black line were manufactured between the year 2002 and the year 2005, in such cases, these are treated as "Historic WEEE" and fall outside compensation via manufacturer compliance systems. The WEEE symbol must be positioned on an EEE product if the product falls in one of the 10 groups and is placed into the European Union market after the date 13th August 2005. The product is treated as "new WEEE”. Manufacturers must deliver refurbishment, treatment and reuse information for each "new WEEE”. The regulation like WEEE offers the creation of collection arrangements, where customers return their used waste related to Electrical and Electronics free of charge. The aim of these arrangements is to increase the recycling and/or re-use of such products. On the other hand the regulation like RoHS limits the use of hazardous substances in electrical and electronic equipment’s. Both are playing an important role to tackle the issue of e-waste and encouraging us to keep safe our environment. RoHS is a directive that was legitimately accepted in July 2006 by the European Union (EU), for the purpose of defending both people and the environment from harmful chemicals found normally in electronics and electrical products. 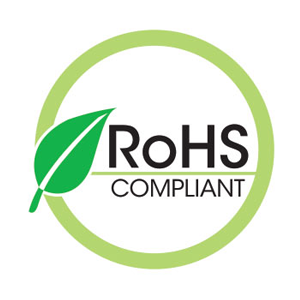 Main aim of RoHS is to reduce the hazardous elements that are faced in everyday life and which affects our ecosystem. The use of the RoHS directive is not only related to apparatus manufactured in the European Union, it also relates to items imported in European Union. RoHS full form is, “Restriction of Hazardous Substances”. What is RoHS 1 and RoHS 2? The RoHS 1 directive took effect on 1 July 2006, and is compulsory to be imposed and became a law in each EU member state. This directive limits (with exclusions) the use of six hazardous materials in the manufacture of many types of electronic and electrical equipment and components. It is thoroughly related with the Waste Electrical and Electronic Equipment Directive (WEEE) 2002/96/EC which sets collection, recycling and recovery objectives for electrical goods and is part of a statutory initiative to solve the difficulty of vast amounts of toxic or poisonous electronic waste. RoHS is frequently states to the European Union standard, unless otherwise qualified. The RoHS 2 directive (2011/65/EU) is a development of the original directive and became law on 21 July 2011 and took effect 2 January 2013. It talks about the same substances as the original directive while refining regulatory situations and legal simplicity. It needs periodic re-evaluations that simplify regular expansion of its requirements to cover extra electronic and electrical equipment, cables and spare parts. The CE logo now designates compliance and RoHS 2 declaration of conformity. Chinese RoHS marking consist of a lower case "e" within a circle with arrows. 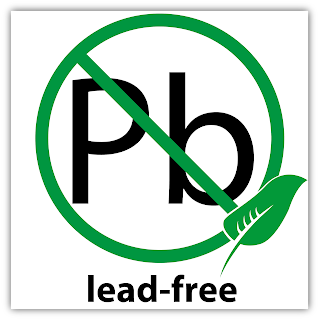 1) Lead (Pb) - Lead mainly used in the making of batteries, televisions and computer monitors. RoHS restricts on the use of lead to 1000ppm. 2) Mercury (Hg) - Mercury has been used in the production of fluorescent lamps, hig and low pressure mercury- vapor lamps, printed circuit boards, aluminum electroplating, thermostats and fuel cells. The RoHS directive restricts the use of mercury to 100ppm. 3) Cadmium (Cd) – Cadmium used as a stabilizer for some plastics, also used in cadmium/nickel batteries, electroplating, pigment production, for soldering, brazing alloys, alarm systems, automatic sprinklers and nuclear shielding. It has been restricted by RoHS to 100ppm. 4) Hexavalent chromium (Cr6+) - It is used in photography, paints, plastics and stainless steel products. It is restricted by RoHS to 1000ppm. 5) Polybrominated biphenyls (PBB) – It is used in flame- retardants, plastic foams, and certain plastics used in home electrical appliances. It is restricted by RoHS to 1000ppm. 6) Polybrominated diphenyl ether (PBDE) - They are used in household electronics, printed circuit boards and capacitors. It is restricted to 1000ppm. DEHP, BBP, DBP and DIBP were additional added as part of DIRECTIVE (EU) 2015/863 which was issued on 31 March 2015. The purpose of the RoHS regulations is to decrease the intensities of the hazardous substances within electronic equipment or component. It may be essential to carry out RoHS testing to confirm that products are free of the substances banned under the RoHS regulations. With the throw or dumping of electronic instruments or components, it has been found the levels of hazardous substances in the environment have been increasing. One of the main areas of the RoHS has been to decrease the level of lead. However as seen above there are many more substances other than lead also involved in the legislation. In order to limit or control the levels of substances maximum acceptable levels are fixed for the substances. Maximum concentrations of 0.1% by weight of similar material are set for all except Cadmium, which is more poisonous; the maximum level is set to 0.01%. These limits do not applicable to a whole product; it is applicable to any element, component or substance that could be separated from it. In an example this could apply to the solder used in a printed circuit board. It could similarly apply to the plastic insulation of a wire. In this way, the whole thing that is used in the manufacturing of a product must be RoHS compliant. Manufacturers of electronic equipment have been to implement soldering processes that are lead free to deliver RoHS compliance. It also sets limits of 5 ppm mercury and 20 ppm cadmium to batteries excluding those used in medical, emergency, or handy power-tool devices. Producers of electronics and electrical equipment’s or components within the scope of the RoHS directive are liable for confirming that their products meet the requirements of the RoHS directive. Moreover, the act of employing a product in the market is an affirmation by the producer that the product complies with the RoHS directive. It is essential that producers can prove the compliance of any product that they place in the market by obtaining and maintaining necessary technical documentation. The RoHS necessities relate to the end products that fall within the scope of the RoHS directive. The components and sub-assemblies used within the end products are not precisely covered by the scope of the RoHS directive and so no need to comply with the directive. Though, as a final product is made up of components and sub-assemblies it is expected that all components and group of components forming sub-assemblies in the final product must not contain any of the restricted substances above the defined maximum concentration limits. To validate compliance, a manufacturer must show that all the components, materials, sub-assemblies that involved in the product are RoHS compliant. To avoid costly testing of all components, the easiest way to do this is to get certification from that supplier. Manufacturers are also estimated to execute certain compulsory analysis of components. Technical documents must be present as a part of the CE Marking procedure. One of the main exceptions from the RoHS directive is the batteries, which are not involved in RoHS, in spite of the high levels of substances that would usually come under RoHS. The RoHS Directive does not apply to the glass used in cathode ray tubes and fluorescent tubes. Mercury-vapor light bulbs are also not considered in RoHS. The RoHS directive is intended for eliminating certain hazardous substances from electrical and electronic equipment’s or components. Producers of these equipment’s or components within the scope of the directive are liable for confirming that their products meet the necessities of the RoHS directive. 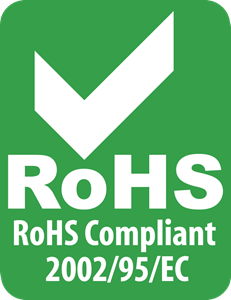 The RoHS necessities apply to the final products that fall within the range of the RoHS directive. Though, as an end product is made up of many components and sub-assemblies it is expected that all components and sub-assemblies must not cover any of the prohibited substances above the defined maximum concentration limits. We know the meaning of Hysteresis loop or B-H curve. 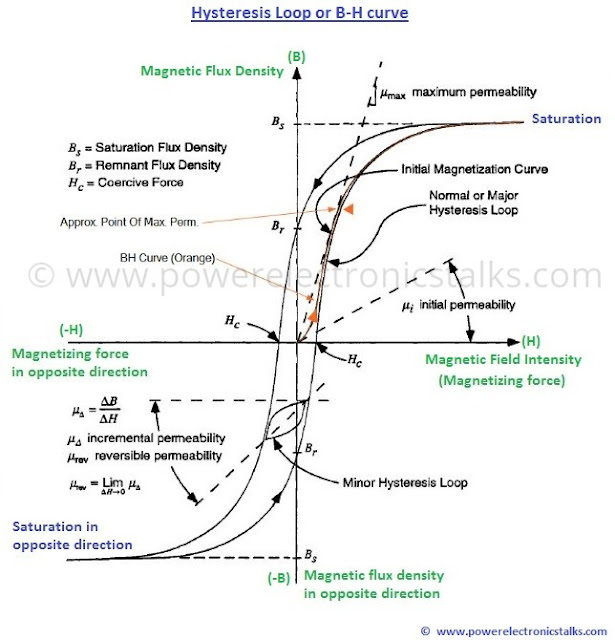 Let discuss in detail the Magnetic properties of the material or in other word we can say that let discuss basic parameters of Hysteresis loop. Below picture shows, B-H curve (Hysteresis loop) in detail. When a magnetic field is applied to a soft magnetic material, the resulting flux density is composed of that of free space plus the contribution of the aligned domains. The ratio of flux density and applied field is called absolute permeability. It is usual to express this absolute permeability as the product of the magnetic constant of free space and the relative permeability (μᵣ). There are several versions of μᵣ depending on conditions the index ‘r’ is generally removed and replaced by the applicable symbol e.g. 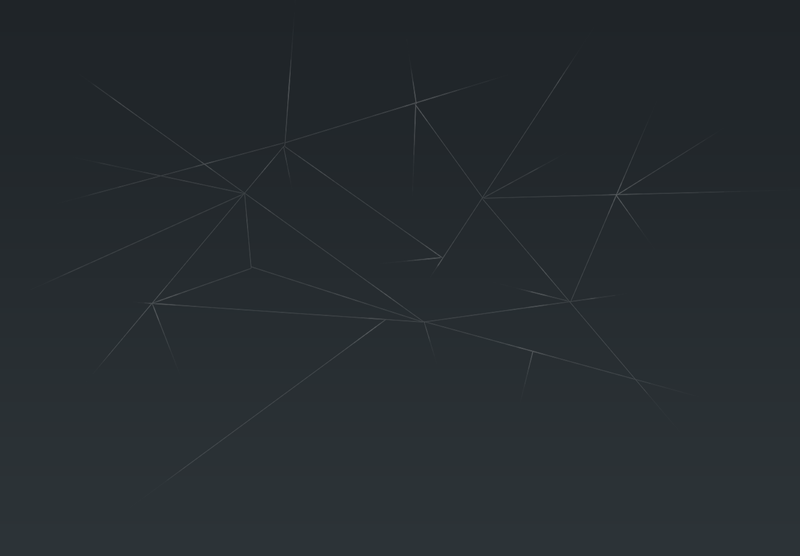 μᵢ, μₐ, μΔ etc. Relative permeability shows that how the presence of a particular material affects the relationship between flux density and magnetic field strength. The term 'relative' arises because this permeability is defined in relation to the permeability of a vacuum. Initial permeability describes the relative permeability of a material at low values of Magnetic Flux Density (below 0.1T). Low flux has the advantage that every ferrite can be measured at that density without risk of saturation. It is helpful for the comparison between different ferrites. Initial permeability is dependent on temperature and frequency. If the air-gap is introduced in a closed magnetic circuit, magnetic polarization becomes more difficult. As a result, the flux density for a given magnetic field strength is lower. Effective permeability is dependent on the initial permeability of the soft magnetic material and the dimensions of air-gap and circuit. G is the gap length and le is the effective length of magnetic circuit. This simple formula is a good approximation only for small air-gaps. For longer air-gaps some flux will cross the gap outside its normal area (stray flux) causing an increase of the effective permeability. The definition of µₐᵨᵨ is particularly important for specification of the permeability for coils with tubular, cylindrical and threaded cores, since an unambiguous relationship between initial permeability µᵢ and effective permeability μₑ is not possible on account of the high leakage inductances. The design of the winding and the spatial correlation between coil and core has a considerable influence on µₐᵨᵨ. A precise specification of µₐᵨᵨ requires a precise specification of the measuring coil arrangement. It is the relationship between higher magnetic field strength and flux densities; it is the permeability at high induction level. At relatively low induction, it increases with H but as the magnetization reaches saturation, it decreases with H. Helpful to find high permeability level of a material. Since the BH loop is far from linear, values depend on the applied field peak strength. The permeability observed when an alternating magnetic field is superimposed on a static bias field, is called the incremental permeability. If the amplitude of the alternating field is negligibly small, the permeability is then called the reversible permeability (μᵣₑᵥ). ͞µ = μs' – j . μs"
μs' is the relative real (inductance) component of ͞μ and μs" is the relative imaginary (loss) component of ͞μ. Where L₀ represents the inductance of a core of permeability μr = 1, but with unchanged flux distribution. Figure at above shows the characteristic shape of the curves of μ' and μ" as functions of the frequency, using a NiZn material as an example. The real component μ' is constant at low frequencies, attains a maximum at higher frequencies and then drops in approximately inverse proportion to f. At the same time, μ" rises steeply from a very small value at low frequencies to attain a distinct maximum and, past this, also drops as the frequency is further increased. The region in which μ' decreases sharply and where the μ" maximum occurs is termed the cut-off frequency fcutoff. This is inversely proportional to the initial permeability of the material (Snoek’s law). In order to measure the reversible permeability μᵣₑᵥ, a small measuring alternating field is superimposed on a DC field. In this case μᵣₑᵥ is heavily dependent on Hᴅᴄ, the core geometry and the temperature. It should be considered for high frequency/excitation application. It is the addition of Hysteresis losses, Eddy current losses and Residual losses. It should be <1. It is how much magnetic flux the magnetic core can handle before becoming saturated and not able to hold any more. It should be high. Use minimum number of turns in winding. The magnetic flux density remaining in a material, especially a ferromagnetic material, after removal of the magnetizing field. It measures the strongest magnetic field ferrite can produce. There should be low retentive. So, ferrite should not magnetize easily without the application of magnetic field. It is the magnetizing field strength required to bring the magnetic flux density of a magnetized material to zero. It should be low, so that it requires low magnetic field thus low opposite current to bring it back to the non-magnetic state. It is useful for estimating ferrite core losses. It is a constant that represents hysteresis loss when a magnetic material is operating in the Rayleigh region (low magnetic field region - behaviour of magnetic materials at low field). It should be less. Disaccommodation occurs in ferrites and is the reduction of permeability with time after a core is demagnetized. This demagnetization can be caused by heating above the Curie point by applying an alternating current of diminishing amplitude or by mechanically shocking the core. The value of dis-accommodation per unit permeability is called disaccommodation factor. It is a gradual decrease in permeability. It should be low and should be <2. µ₁ = resulting complete demagnetization, the magnetic permeability after the passing of t₁ seconds. µ₂ = resulting complete demagnetization, the magnetic permeability after the passing of t₂ seconds. The transition temperature above which a ferrite loses its ferromagnetic properties. It should be high. High resistivity makes eddy current losses extremely low at high frequencies. Resistivity depends on temperature and measuring frequency. Ferrite has DC resistivity in the crystallites of the order of 10⁻³Ωm for a MnZn type ferrite, and approx. 30 Ωm for a NiZn ferrite. With the frequency increase, core loss is generated by the changing magnetic ﬂux field within a material. Core-loss factor, is defined as the ratio of core-loss resistance to reactance, and consists of three components; namely, hysteresis loss, eddy-current loss and residual loss. Addition of an air gap to a magnetic circuit changes the values of its loss factor and effective permeability. The amounts of change are nearly proportional to each other. The loss angle tangent, tanδ, is decreased by an air gap in proportion to the ratio of permeability’s before and after air gap presence. tanδ and μᵢ : permeability and loss angle tangent without an air-gap μₑ. tanδₑ: permeability and loss angle tangent with an air-gap. Hence, the relative loss factor, tanδ/μᵢ does not depend on air gap size, when the air-gap is small. It is the reciprocal of loss angle tangent. Temperature coefficient is defined as the change of initial permeability per °C over a prescribed temperature range. Temperature factor of permeability is defined as the value of temperature coefficient, per unit permeability. The measured value should be less. It is the ratio of “Temperature factor for initial magnetic permeability” to the “initial magnetic permeability“. Magnetic properties of material help us to select perfect material according to application. Even in the case of failure of application we can analysis the material properties and cause of failure easily we can find. Also, it helps us to find maximum working limit of a material. 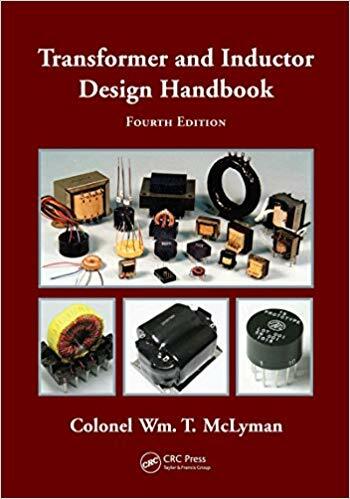 If you are not aware of Ferrite, Transformer and Inductor terms and for learning the same if you are looking a book, which along with theory clears your practical ideas then please purchase this book; “Transformer and Inductor Design Handbook, Fourth Edition by Colonel Wm. T. McLyman”. Links to easily find and to purchase “Transformer and Inductor Design Handbook” with discounts are given at the end of this review. This book is the best book for learning each and every thing about Transformers and Inductors. It clarifies in depth all meanings, definitions, working and calculations related to Transformer and Inductors. This is practically one to be needed to understand how exactly Transformer and Inductor is working. This book will teach you; transformer design, inductor design, how to design a transformer windings, transformer core size calculation, transformer calculation formulas, transformer core area calculation and many more. My first introduction with “Transformer and Inductor Design Handbook” is at the time when I started my career as Design & Development Engineer after graduation with a well-known organisation. There we use transformers and inductors in our designs. To understand the ferrite, transformers and inductors well, my seniors suggested to refer this book. He has one copy and initially I referred his copy. When I read this first time, I found that this book contains all the detail explanations of ferrite selection, transformer & Inductor calculations and their working. It offers what you have to work with ferrite parts. It delivers and clears all the basics so that you can simply use this information when needed. Immediately I planned to purchase my own personal copy. At that time, 3rd edition was available. Till now this book is available with me and till now I am referring it for transformer design and inductor design. With the time “Transformer and Inductor Design Handbook” flourished and now available in 4th edition, updated and revised by author Colonel Wm. T. McLyman. Because of introduction of new chapters I purchased the 4th edition also. A new chapter on Autotransformer Design has been included in 4th edition, which focuses on selection and calculations of windings. A chapter on Common Mode Inductor Design has been included which focuses on the selection of ferrite material, winding calculations, cut-off frequency calculations, temperature rise calculations, etc. The book; “Transformer and Inductor Design Handbook” delivers you, step wise teachings along with reference pictures to clear all the concepts of transformer design and inductor design. This book guides you also on topics like; laminations & its need, tape cores, powder cores & ferrite cores, and iron alloys. This book will guide you for; how to select the right ferrite core size for your design, how to perform calculations, how to design transformer and design inductor and how to perform testing. This book will give you transformer design examples along with step-by-step directions and several tables and visuals for assessment. This chapter contains all the terms in basic form. This chapter contains; Magnetic Properties in Free Space, Intensifying the Magnetic Field, Simple Transformer, Fundamental Characteristics of a Magnetic Core, Hysteresis Loop (B-H Loop), Magnetomotive Force (mmf) and Magnetizing Force (H), Air Gap and it’s types, Fringing Flux, etc. This chapter contains details of; Saturation, Remanence Flux, Coercivity, Permeability, Hysteresis Loss, Resistivity. This chapter also contains; Introduction to Silicon Steel, Introduction to Thin Tape Nickel Alloys, Introduction to Metallic Glass, Introduction to Soft Ferrites, Manganese-Zinc Ferrites, Nickel-Zinc Ferrites, Introduction to Molypermalloy Powder Cores, Introduction to Iron Powder Cores, Core Loss, Selection of Magnetic Materials, Magnetic Material Saturation Theory, Effect of Gapping, etc. This chapter contains in detail following terms; Core Type and Shell Type Construction, Types of Core Materials, Eddy Currents & Insulation, Laminations, Annealing and Stress-Relief, Stacking Laminations and Polarity, Flux Crowding, Exciting Current, Tape Wound C, EE, and Toroidal Cores, Stacking Factors, Design and Dimensional Data for different type of Laminations, Dimensional Data for different type of ferrite cores, Dimensional Data for different type of powder cores, etc. This chapter contains; Window Utilization Factor, Wire Insulation, Fill Factor, Effective Window, Insulation Factor, Window Utilization Factor for bobbin ferrites, Magnet Wire, Base Film Insulation, Bonding Methods, Multistrand Wire and Skin Effect, Multistrand Litz Wire, Proximity Effect, Different types of wires, Standard Foils, etc. This chapter contains; Power Handling Ability, Transformer Area Product, Transformer Volume and the Area Product, Transformer Weight and the Area Product, Transformer Surface Area and the Area Product, Transformer Current Density and the Area Product, Transformer Core Geometry and the Area Product, etc. This chapter contains all the details about; Transformer Efficiency, Transformer Dissipation by Radiation and Convection, Temperature Rise Versus Surface Area Dissipation, Surface Area Required for Heat Dissipation, Required Surface Area, Regulation as a Function of Efficiency, etc. This chapter contains details about; Power-Handling Ability, Output Power Versus Apparent Power Capability, Transformers with Multiple Outputs, Regulation, Relationship of Kg to Power Transformer Regulation Capability, Relationship of Ap to Transformer Power Handling Capability, Different Cores Same Area Product, 250 Watt Isolation Transformer Design, 38 Watt 100kHz Transformer Design, etc. It contains all the details about; Critical Inductance for Sine Wave Rectification, Critical Inductance for Buck Type Converters, Core Materials used in PWM Converters, Fringing Flux, Inductors, Relationship of Ap to Inductor's Energy-Handling Capability, Relationship of Kg to Inductor's Energy-Handling Capability, Gapped Inductor Design Example Using the Core Geometry Kg, Gapped Inductor Design Example Using the Area Product Ap, etc. This chapter contains all the details about; Molybdenum Permalloy Powder Cores, High Flux Powder Cores, Sendust Powder Cores, Iron Powder Cores, Inductors, Relationship of Ap to Inductor's Energy-Handling Capability, Relationship of Kg to Inductor's Energy-Handling Capability, Toroidal Powder Core Design Using the Core Geometry Kg, Toroidal Powder Core Inductor Design, Using the Area Product Ap, etc. It contains; Relationship of Ap to the Inductor Volt-Amp Capability, Relationship of Kg to the Inductor Volt-Amp Capability, Fringing Flux, AC Inductor Design Example, etc. This chapter contains; Constant-Voltage Transformer’s Regulating Characteristics, Electrical Parameters of a CVT Line Regulator, Design equations & examples of Constant-Voltage Transformer, Design example of Series AC Inductor, etc. It contains; Primary Circuit of Three-Phase transformer, comparison according to physical size, Phase Current, Line Current & Voltage in a Delta System and Wye system, Comparing Multiphase & Single-Phase Power, Multiphase Rectifier Circuits, Area Product Ap and Core Geometry Kg for Three-Phase Transformers, Output Power Versus Apparent Pt Capability, Relationship Kg to Power Transformer Regulation Capability, Relationship Ap to Transformer Power Handling Capability, Design example of three-phase Transformer, etc. It contains; Energy Transfer, Discontinuous and Continuous Current Mode, Continuous and Discontinuous Boundary, The Buck Converter, Discontinuous and Continuous Current Buck Converter Design Equations, The Boost Converter, Discontinuous and Continuous Current Boost Converter Design Equations, The Inverting Buck-Boost Converter, Discontinuous and Continuous Current Inverting Buck-Boost Design Equations, The Isolated Buck-Boost Converter, Discontinuous and Continuous Current Isolated Buck-Boost Design Equations, Design Example of Buck-Boost Isolated Converter for Discontinuous Current, Design Example of Boost Converter for Discontinuous Current, Designing Boost Inductors for Power Factor Correction, Standard Boost Flyback Converter, Boost PFC Converter, Design Example of (PFC) Boost Converter for Continuous Current, etc. It contains; Circuit Operation, Comparing the Dynamic B-H Loops, Forward Converter Waveforms, Transformer Design Using the Core Geometry Kg Approach, Forward Converter Output Inductor Design, Output Inductor Design Using the Core Geometry Kg Approach, etc. It contains details about; Capacitor, Inductor, Oscillation, Applying Power, Resonant Charge, Input Filter Inductor Design Procedure, Input Filter Design Specification, etc. This chapter contains; Analysis of the Input Current Component, Unique to a Current Transformer, Current Transformer Circuit Applications, Current Transformer Design Example, etc. This chapter contains details about; Parasitic Effects, Leakage Flux, Minimizing Leakage Inductance, Winding Capacitance, Winding Capacitance Turn-to-Turn, Winding Capacitance Layer-to-Layer, Capacitance Winding-to-Winding, Stray Capacitance, etc. This chapter contains; The Voltage-fed Converter, Regulating and Filtering, The Current-fed Converter, The Quiet Converter, Regulating and Filtering, Quiet Converter Waveforms, Technology on the Move, Window Utilization Factor Ku, Temperature Stability, Calculating the Apparent Power Pt, Quiet Converter Design Equations, Transformer Design using the Core Geometry Kg Approach, etc. This chapter contains; Basic Rotary Transformer, Square Wave Technology, Rotary Transformer Leakage Inductance, Current-fed Sine Wave Converter Approach, Rotary Transformer Design Constraints, etc. This chapter contains; Planar Transformer and Inductors Basic Construction, Planar Integrated PC Board Magnetics, Core Geometries, Planar Transformer and Inductor Design Equations, Window Utilization Ku, Current Density J, Printed Circuit Windings, Calculating the Mean Length Turn, Winding Resistance & Dissipation, PC Winding Capacitance, Planar Inductor Design, Winding Termination, PC Board Base Materials, Core Mounting and Assembly, etc. This chapter contains; Output Power P0 vs Apparent Power Pt Capability, Transformer Derivation for the Core Geometry Kg, Transformer Derivation for the Area Product Ap, Inductor Derivation for the Core Geometry Kg, Inductor Derivation for the Area Product Ap, Transformer Regulation, etc. This chapter contains; windings and other details for the design of autotransformer. It is clearly explained with the calculations. This chapter contains; windings and selection details for the design of Common-Mode Inductor Design. It is clearly explained with the help of calculations. This chapter contains; Terms related to Reactor, controlling of magnetization, etc. This chapter contains; feedback windings, gain of magnetic amplifier, etc. This chapter contains; detail design procedure for Inductor design respect to resistance. The book covers much practical information. Detail explanation along with calculations. Detail explanation for selection of ferrite cores. Availability of reference pictures for easy understanding. Fewer contents for the reader, who’s seeking a detail understanding of the necessary in-depth of magnetics and its application in power converter circuits. There are fewer explanations of some valuable methods like; how to wind transformers in different configurations and with several layers. Colonel Wm. T. McLyman – Colonel McLyman has 47 years of experience in the field of Magnetics. He holds fourteen United States Patents on Magnetics associated conceptions. He worked and retired as a Senior Member of the Avionics Equipment Section of the Jet Propulsion Laboratory (JPL) associated with the California Institute of Technology, California. He has written above seventy JPL Technical Documents and Technology Reports on the subject of Magnetics and circuit designs for power converters when he worked thirty years at JPL as the Magnetics Specialist. NASA has published many of his technical works. He has done many seminars in the United States, Mexico, Canada and Europe on the design and construction of magnetic components. He is the President of his company called Kg Magnetics, Inc., which focuses on magnetic design. 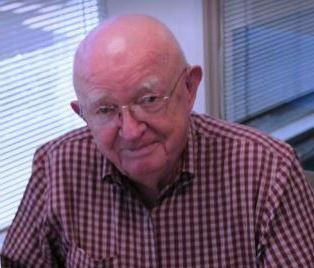 Through his company, Kg Magnetics, Inc., he markets transformers and inductors design and analysis computer program. 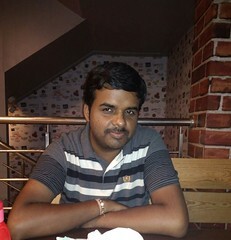 He is the writer of four famous books: "Transformer and Inductor Design Handbook, Fourth Edition", "Magnetic Core Selection for Transformers and Inductors, Second Edition", "Designing Magnetic Components for High-Frequency DC-DC Converters", "High Reliability Magnetic Devices: Design and Fabrication". This book, “Transformer and Inductor Design Handbook” is like a bible of Transformer design and Inductor design learning and must have book for all transformer & inductor design enthusiasts. This book will develop your transformer & inductor design knowledge and develop the skills essential to develop and construct your own transformer and inductors for your designed circuit. It is a reliable guide for the engineers and other professionals; who usually design, develop and tests transformers and inductors. Also eBook format of this book is available. You can read this book on Kindle e-Readers, Fire Tablets, Fire Phones, Kindle reading apps, Kobo e-Readers, Kobo reading apps, Nook e-Readers and Nook reading apps. *If you didn't find your country name above, then please contact me (check Contact page), I will try to find where and how you can get this book easily in your home country. Enjoy the Reading and please comment your views in the comment box.